Last week I went to the biological shop to get something for my sister. 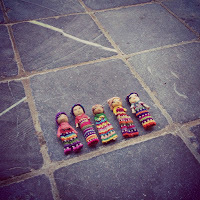 When I was looking for that, there were these little dolls that caught my eye. 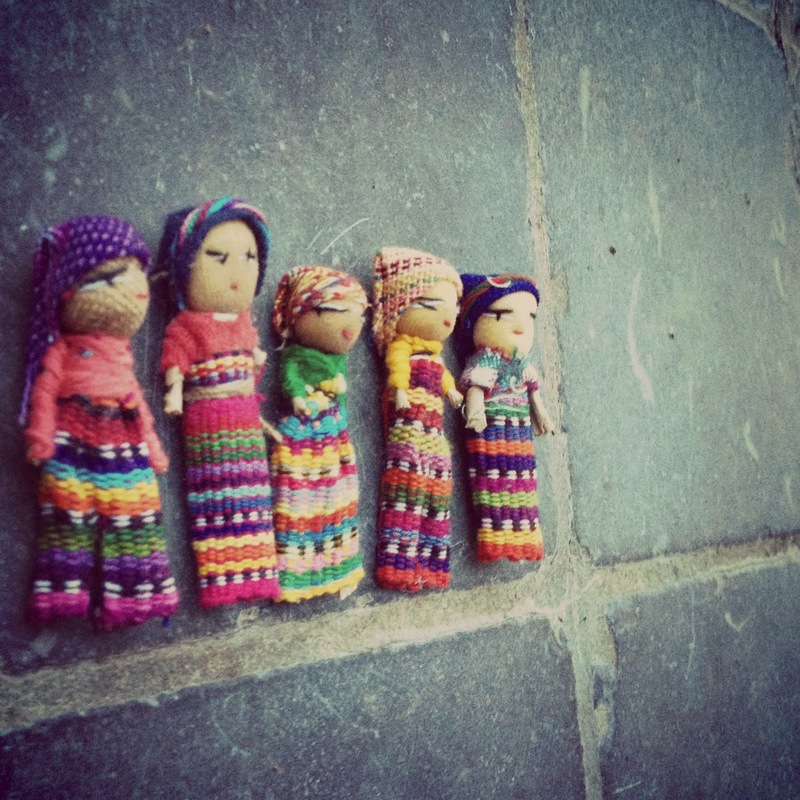 These dolls are calles worry dolls. 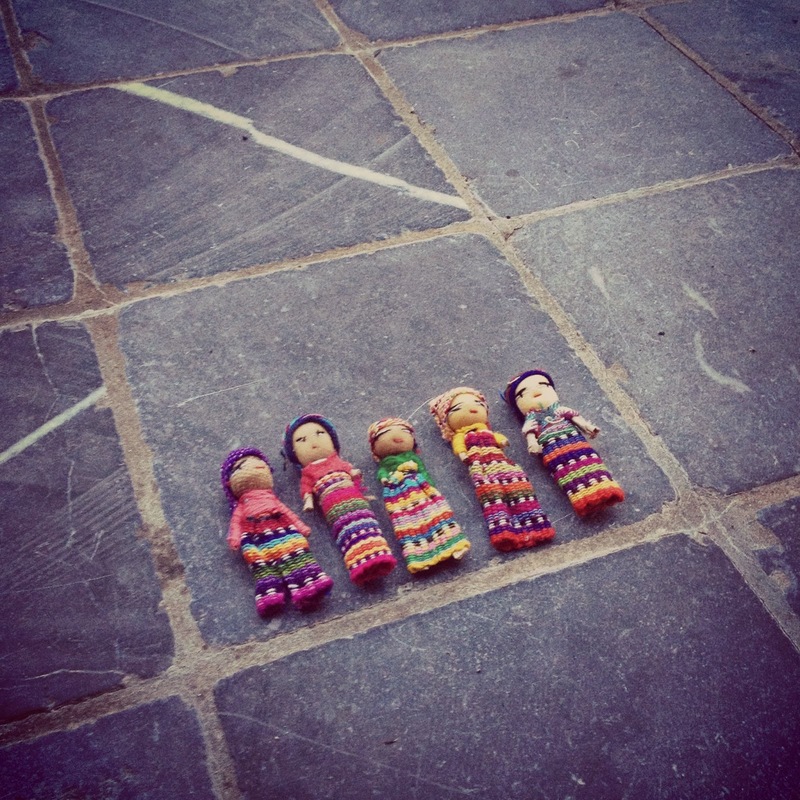 I've got such dolls from my mom when I was little so I felt a little nostalgic and I had to take a few home with me. 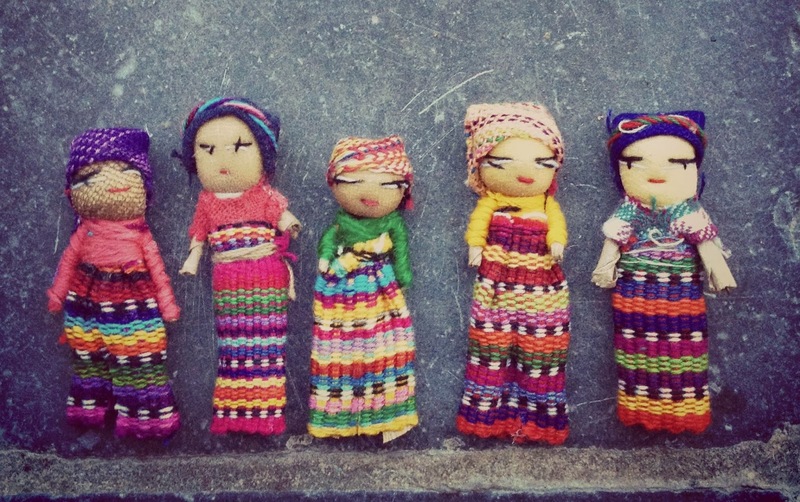 The worry dolls are little and colorful dolls that are made in Guatemala. The people there make them from wood or cardboard. Out of that they make a human-like frame with a head, torso, arms and legs. 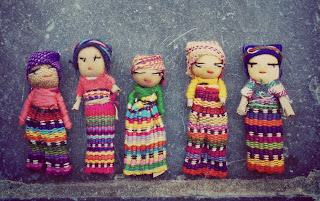 They also use cloth and traditional woven fabric to make a costume for the dolls. They also make a cloth pouch to put them in. 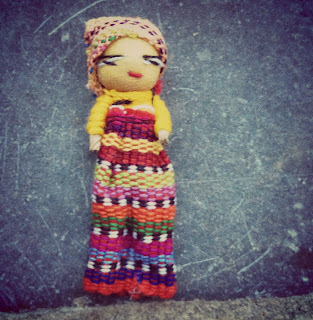 The worry dolls come with a legend. The legend says that when a person can't sleep because he's worrying all the time, he can tell his worries to the doll and then place it under his pillow before he goes to sleep. 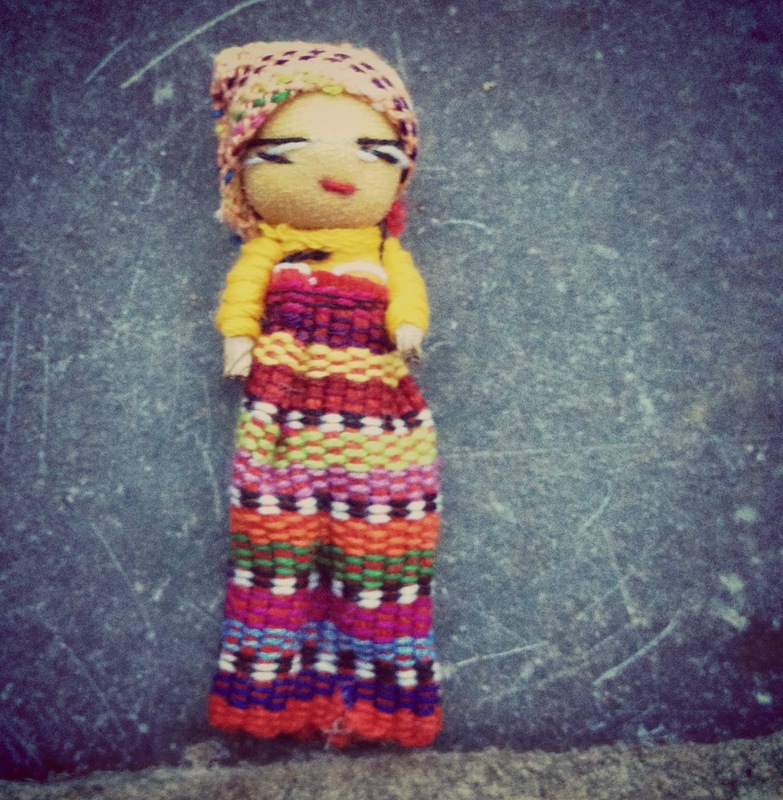 The doll worries in the person's place and the person can sleep peacefully. When he wakes up, the worries are gone. 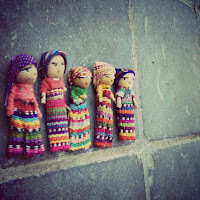 I've found a site where you can buy these dolls online if your interested and you can't find them in a local bioshop. Just click here. Now, I'll go to bed. Tell my worries to my doll and sleep like a baby.